Part 1 of 2, the ultimate battle between light and darkness draws near. 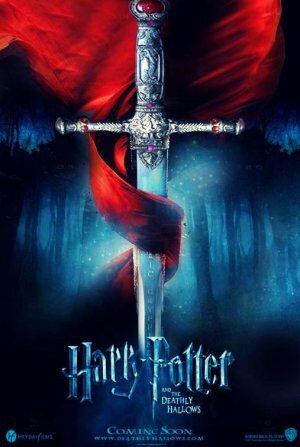 Voldemort and his Death Eaters hatch a plot to kill Harry Potter who not only finds himself on the run, but also with a long list of magical objects to track down. The cosy trimmings of previous Harry Potter films – trains to school, lessons, quidditch matches – are not evident in this film, which is darker than the rest of the movies. However, there’s too much detail in this films plot making it drag a bit throughout: there’s the main quest to destroy several ‘horcruxes’, objects containing Voldemort’s soul, as well as a sub-quest to find three ‘deathly hollows’, objects that give their owner power over death. Even as it doesn’t rate as one of the best Harry Potter films, the lead actors are fine and it’s another adventure in the popular series with the familiar characters and there’s enough magic and tension to make you want to see it and to look forward to Part 2.